Our philosophy is simple: To produce the high-quality products you expect from us, it is vital that our turkeys stay healthy. Our commitment to their health and well-being starts at the farm where our farmers humanely raise our turkeys every day. 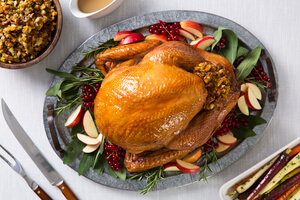 You trust Butterball to provide superior turkey products and to do so responsibly. That is why we constantly evaluate how we raise our turkeys to bring you the great tasting products you’ve come to depend on. 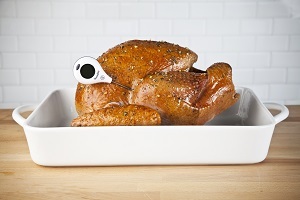 We are extremely proud of how we raise our turkeys and the innovations we have introduced over the past 60 years. They are central to providing wholesome, nutritious products from our farms to your table. 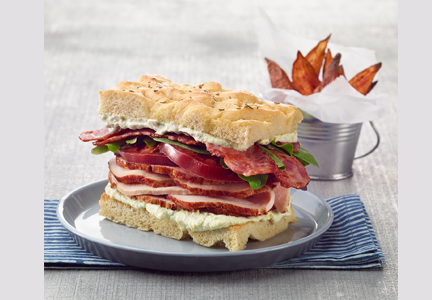 The quality of our products signifies our commitment to both consumer choice and health. All Butterball turkeys are raised hormone- and steroid-free in accordance with USDA requirements. To maintain the health of our turkeys, we will administer antibiotics only as needed, under licensed veterinarian’s guidance, to ensure they live healthy lives, free of illness. We are committed to the responsible use of antibiotics. In 2015, we refined our policy on antibiotic use, and eliminated use of any labeled as growth promotants. We intend to further reduce the use of antibiotics in the coming years. Butterball products proudly carry the Certified Responsible Antibiotics Use (CRAU) label. CRAU is the first responsible use standard certified by USDA that allows for minimal use of medically important antibiotics in poultry production, and only those prescribed by a licensed veterinarian. Poultry companies interested in meeting CRAU must undergo regular USDA audits to verify conformance. Our licensed veterinarians monitor closely any medications our turkeys receive to meet and exceed all federal regulations set forth by the FDA and the guidelines of the American Veterinary Medical Association (AVMA). We also work hand in hand with American Humane and its Humane Certified™ program to ensure our flocks’ health and comfort. Our mission aligns with that of American Humane’s – to ensure the welfare, wellness and well-being of our turkeys. We know that you want to have a choice of products that you serve your family. That’s why we created Farm to Family by Butterball™, made from turkeys raised without antibiotics. We are proud of these new quality turkey products and thank you for choosing them and Butterball. 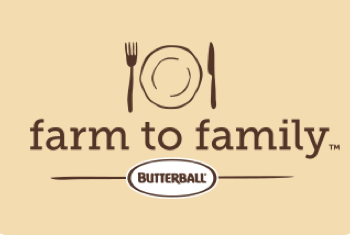 For more information visit: http://farmtofamily.butterball.com.